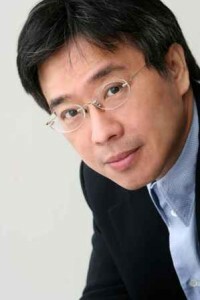 Mr. Youngho Kim is one of most active pianist in Korea as a soloist and as a chamber musician. In 2009 he appeared as a soloist with Sejong Soloists, the Manhattan Chamber Orchestra in New York, Busan Philaharmonic, Gwangju Symphony and other orchestras in Korea. In July of 2009 Youngho Kim performed with Dae Jeon Philharmonic Orchestra celebrating its 25th anniversary and played a solo recital in Cairo, Egypt. In 2010-11 season highlight performances will include Seoul Spring Festival, recitals in Beijing, Tianjin, Wuhan in China, Tel Aviv, Israel and Berlin, Germany. After winning first prize in the prestigious Ewha-Kyunghyang national music competition in Korea at the age of twelve, Youngho Kim went to pursue his piano studies in New York a year later. Mr. Kim attended Columbia Grammar and Preparatory school then entered the Juilliard School where he earned his BA and MA degrees. Later he received his Doctor of Musical Arts degree from the Manhattan School of Music as a recipient of Elva Van Gelder Scholarship. His teachers include Sascha Gorodnitzki, Byron Janis, Herbert Stessin and Solomon Mikowsky. During his studies he won top prizes in numerous competitions including the Kosciuzko Chopin, Helen Hart and Frinna Awerbuch international piano competitions in the U.S. as well as winning second prize in the Pilar Bayona International Piano competition in Spain. As a founding member of Seoul Spring Festival which is in its 5th successful season plays actively in Seoul and other cities each season. The Seoul Spring Festival was invited for the Beijing Olympic Festival in the Grand National Theater in Beijing in 2008 and in the summer of 2009 Casals Hall in Tokyo. In 2010 the Seoul Spring Festival will tour Shanghai for the celebration of world Expo. Mr. Kim also performs regularly in the Great Mountains Music Festival in Korea as well as Festival Music Alp in France and chamber music festival in Tenerife, Spain. Mr. Kim also have many successes with students. His pupils have won top prizes in international competitions in France, Portugal, USA as well as Korea.